The woman at the front was lovely and efficient. Dr. Kim was very friendly, took his time hearing out my casehistory, and asked questions to get a thorough understanding of my situation. He did not rush me at all and was calm, patient, and understanding. At the end of the visit he clearly explained his goals and recommendations, while also explaining reasons he did not choose alternative options based on my case. Great doctor, clean office, great staff. The woman at the front was lovely and efficient. Dr. Kim was very friendly, took his time hearing out my case history, and asked questions to get a thorough understanding ofmy situation. He did not rush me at all and was calm, patient, and understanding. At the end of the visit he clearly explained his goals and recommendations, while also explaining reasons he did not choose alternative options based on my case. Great doctor, clean office, great staff. Dr. Kim is fantastic. He listens and talks you through what he thinks is going on, and is honest about whatmight not be clear. His staff are friendly and helpful. Highly recommend. Dr. Kim is fantastic. He listens and talks you through what he thinks is going on, and is honest about what might not be clear. His staff are friendly and helpful.Highly recommend. 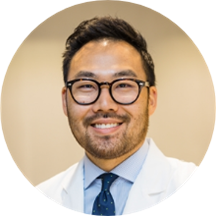 James A. Kim, MD is board-certified in both gastroenterology and internal medicine. His practice encompasses all aspects of general gastroenterology, and he has a particular interest in cancer screening and nutrition. Dr. Kim earned a bachelor of music with distinction in cello performance from the Eastman School of Music, after which he decided to transition from a career in music to medicine. He spent a year conducting translational research at the National Institutes of Health prior to enrolling at the University of Rochester School of Medicine and Dentistry where he received his medical degree. He did his residency training in internal medicine at New York University Langone Medical Center, and then completed a fellowship in gastroenterology at Memorial Sloan Kettering Cancer Center. Dr. Kim has published peer-reviewed research articles and presented original research at national meetings. For these efforts, he was given the Alan Charney Award for excellence in research during residency training. He is an attending physician at NYU Langone Health, and enjoys working with medical students, residents, and gastroenterology fellows. He is an active member of the American College of Gastroenterology, American Gastroenterological Association, and the American Society of Gastrointestinal Endoscopy. Dr. Kim is incredible in every sense of the word - highly recommend! Dr Kim was extraordinarily knowledgeable and took the time to get to know me and listen to what I was going through. His office was spotless and his staff were amazingly helpful. I wish every doctor I had was like this! Very nice and answered every question I had to great detail. Would defenitely recommend. Highly attentive to my concerns and questions as well as thorough and informative in his answers. Dr. Kim was definitely worth making a trip to Brooklyn for despite it being out of my way. He was genuinely caring, empathetic and very easy to speak to. Dr. Kim was very kind, patient and helpful. He really put my mind at ease and gave me a clear, actionable plan to address my issues moving forward. Would highly recommend to anyone looking for a GI! Great visit. Dr. Kim is terrific. Dr. Kim was one of the best doctor experiences I've ever had. I immediately felt comfortable and at ease in his office. He was very informative and helpful. I walked out of his office feeling confident and taken care of. Dr. Kim was extremely professional and knowledgeable. Dr. Kim made me feel comfortable and open to discuss my symptoms and medical history. Dr. Kim also provided great expert advice and left me with very clear options on how to proceed. Probably the best doctor I’ve ever seen in NYC, period. No rush, caring, smart, took the time to explain everything, answered even stupid questions I had, and cornered the case quickly with conclusive evidence and no guesswork. I would give him six stars if I could. Dr. Kim is incredibly nice and makes you feel comfortable. I appreciated his thoughtfulness and way of explaining things. Plus the office and staff are great! Excellent visit with this provider. Check in was easy. DrKim speaks softly but confidently. This was my first visit with him and he made me feel like he had always been my doctor. Very professional and personable. A very competent guy, highly recommended! Dr. Kim was thorough and thoughtful. He listened intently and clearly explained the potential causes of my issue and the diagnostic steps he proposed that we take. I appreciated the time and care that he took—truly superb. His entire staff waswarm and helpful, as well. The office is clean and conveniently located by half a dozen subway lines. Excited and knowledgeable young doctor with a good grasp on the latest treatments. Clean office, very thorough visit with Dr. Kim. Highly recommend! He was incredibly thorough. I don’t think I have ever had a doctor examine and listen to my symptoms and concerns like that. You can tell her cares and he’s smart. Dr. Kim was awesome. Before the exam, we sat and talked for quite a while. He was extremely thorough and reassuring. Highly recommend!